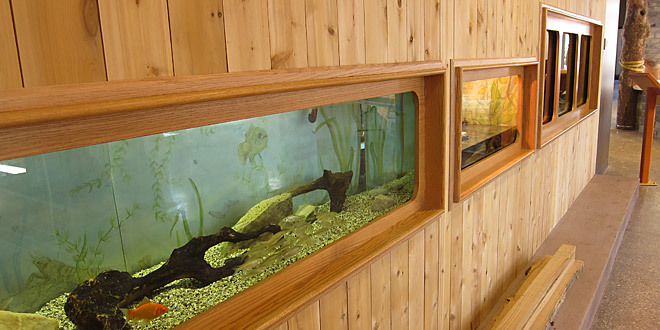 Visit the new nature centre soon!. 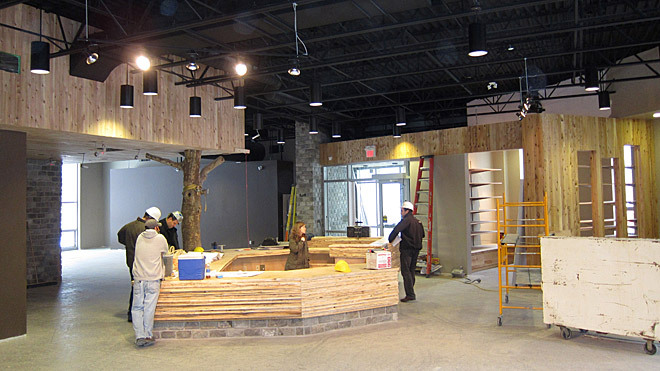 December 22, 2009 The natural look of granite will be married with cedar and glass to reflect the colors and elements of the prairie landscape in the new Ojibway Nature Centre. 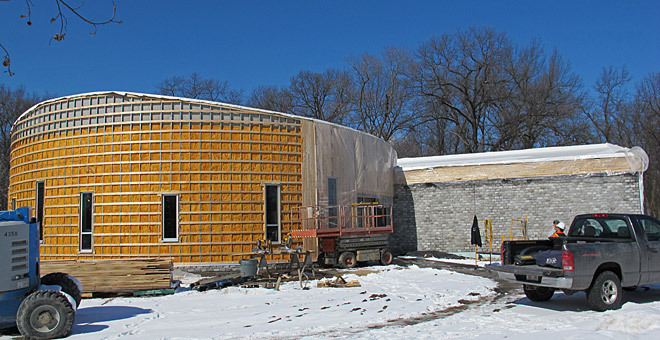 Located in Ojibway Park on the site of the old picnic shelter, the new 8,000 square foot building combines energy saving technologies with excellent design under the direction of NORR Architects Engineers Planners. 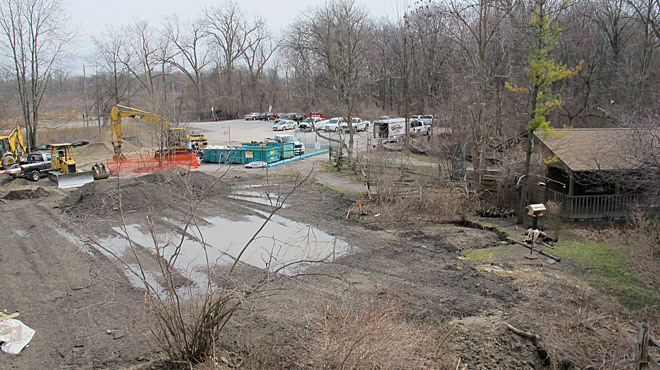 The new centre will feature an expanse of windows on the north side to overlook the woodland, the preservation of the birding garden, a green roof, and a reconfigured parking area with improved space for buses. 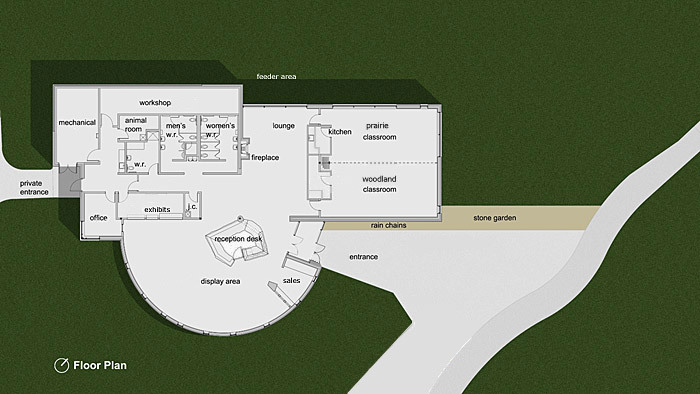 Accessibility and energy efficiency are key elements in the new design which is currently under review. 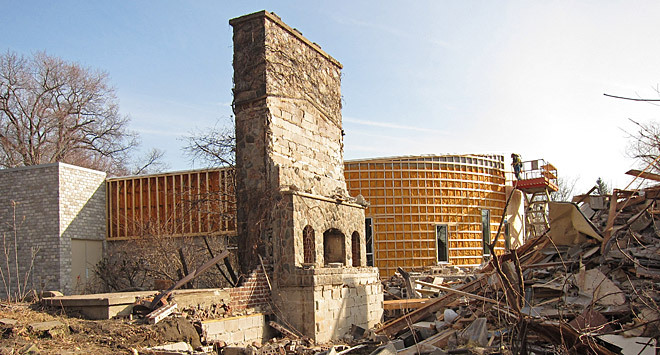 Chad Menard, Architect from NORR, is making every effort to use recycled materials such as the granite blocks from the original Ambassador Bridge road bed. The building is a LEED Gold Candidate under the "Leadership in Energy and Environmental Design" (LEED) Green Building Rating System (link to LEED web site). 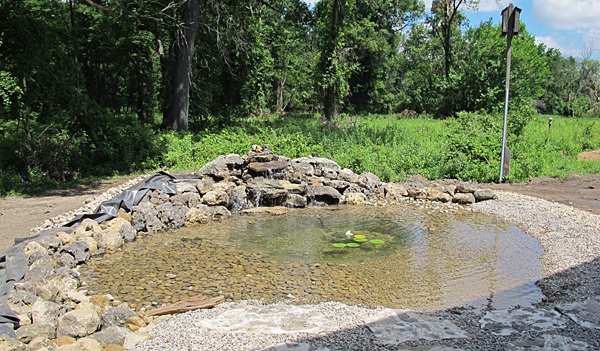 Ojibway Park and Nature Centre welcome approximately 100,000 visitors per year. There are 621 protected acres in Ojibway Prairie Complex with 9200 metres of maintained trials. 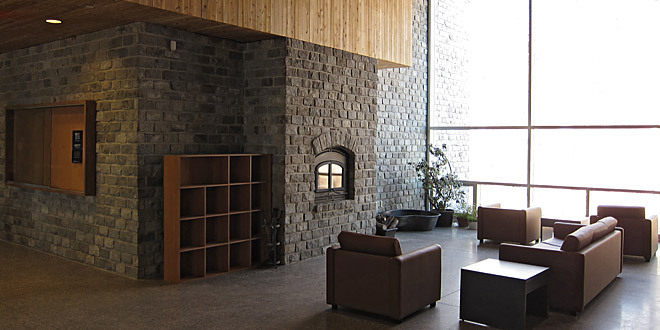 The centre will be open year round with ongoing educational programs for adults, youth and pre-schoolers. February 23, 2010 The granite blocks that will be used in the construction of the new nature centre have a long history. They originated from the Blair Quarry in Fairfield County, South Carolina and were used in the construction of the Ambassador Bridge in 1929. Thousands were embedded in sand to provide traction on the five percent grade of the bridge. Forty years later the approach was finally paved and the blocks were donated to the Windsor Parks & Recreation Department. They now grace many of the pathways in Windsor Parks. 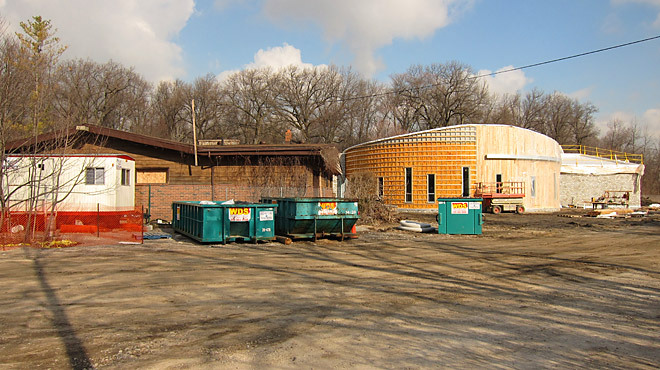 May 11, 2010 DeAngelis Construction Inc. was selected as the general contractor for the project. 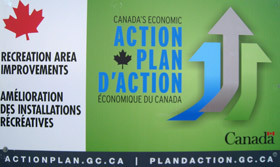 CLICK HERE to see photos of the month-by-month progress during 2010. March 27, 2011 Interior work is nearly complete. March 28, 2011 One last look before old centre is demolished. 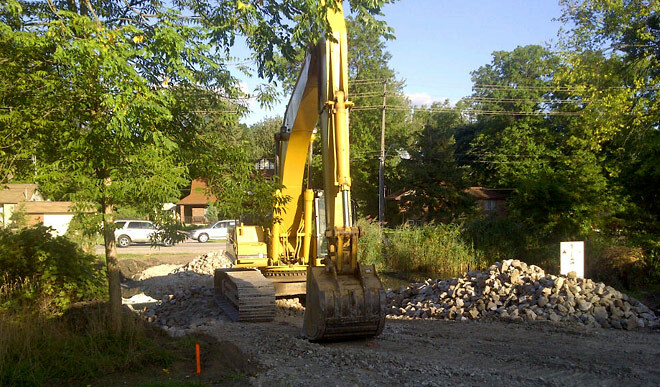 March 31, 2011 Old nature centre demolished today. April 1, 2011 Demolition complete. 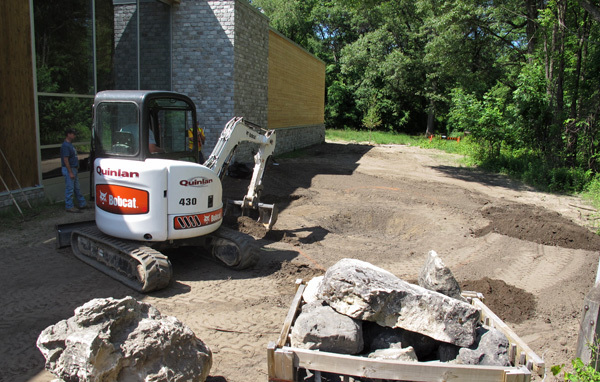 The rock from the chimney will be used to create wildlife habitat around the new building. April 7, 2011 View of site from roof of new centre and newly installed green roof. 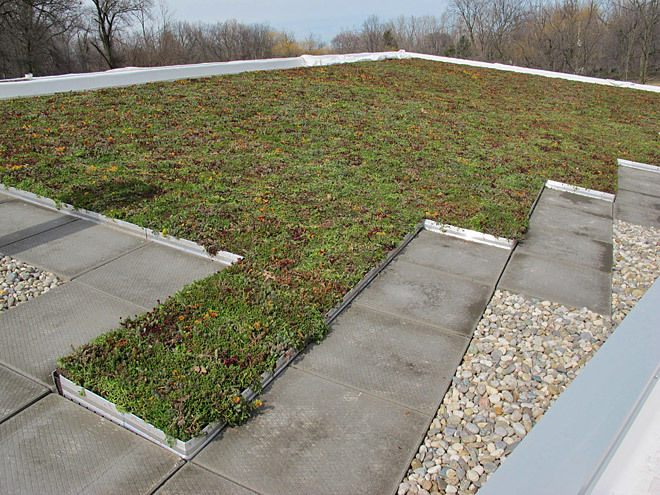 A living roof reduces water runoff and helps keep the building cooler in the summer and warmer in the winter. May 1, 2011 Building is not completely finished but it is now open! June 14, 2011 An evening view of the new centre by Dan Reaume. July 13, 2011 Construction of pond in front of the lounge picture windows. 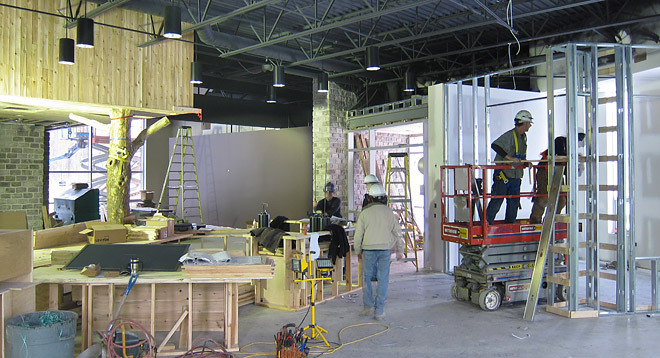 Sept 15, 2011 Construction of the new entranceway to the nature centre. Copyright © 2009-2011. All rights reserved. 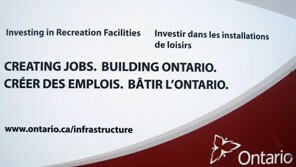 You are on a City of Windsor Web Site.